Dolly Merishaw was a competent enough midwife, but that’s not a good enough reason to grieve for her, especially considering all the nefarious tricks she played on the desperate women among her clientele. So when Dolly, who’s lopped the first two syllables off her last name, is found smothered in the dreary Toronto rooms she’s taken cover in, the only people who aren’t rejoicing are the ones who are scared of Acting-Detective William Murdoch—Dolly’s deaf daughter Lily and her teenaged foster sons, George Tucker and Freddie Locke—as well as clients and ex-clients from pregnant Millie Brogan and her chanteuse sister Annie all the way across town to the grand lady Maud Pedlow, wife of a stiff judge Murdoch would love to see in the dock himself. As in Jennings’s debut, Except the Dying (1997), the 1895 setting, the mores of rooming houses and shadowy theaters and middle-class neighborhoods, along with the figure of the quietly bull-headed detective, are sketched with a few deft strokes; and as before, the characters, however firmly conceived, are so transparent that the mystery wouldn’t beguile an infant. 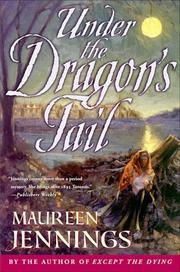 Jennings’s considerable talents for bringing the historical setting alive don’t suit her whodunit form nearly as well. Her work may be a test case for the future development of this popular hybrid formula.